I have a lot less time for sewing since school began this year. Part of the reason is that I have taken on another non-tangible responsibility and am spending a lot of the time that was formerly sewing time on it. It's a good thing for me, but for now it means less sewing is getting done. I figured I would share what I am working on here even though it is not done yet, or anywhere near done. I have started a new quilt. I have been really itching to make a quilt lately. 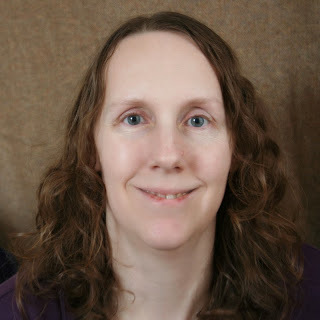 It is less practical than sewing clothes for my kids or creating a new pattern to sell, but, with so little time for myself, I wanted to do something I would really enjoy. I don't want sewing to be yet another job. An idea had been bouncing around in my head for a while for a log-cabin-style quilt that I plan to use as a wall hanging in my dining room. I wanted to use this blue fabric with little flowers that I have had forever. I paired it with some yellow, orange, a lighter blue, and a dark brown, as well as the Kaufman Essex Yarn-Dyed Linen Blend in Flax that I loved so much in the last quilt I made. The colors were inspired by a painting we have hanging in the dining room that we got at a starving artists sale about 10 years or so ago. 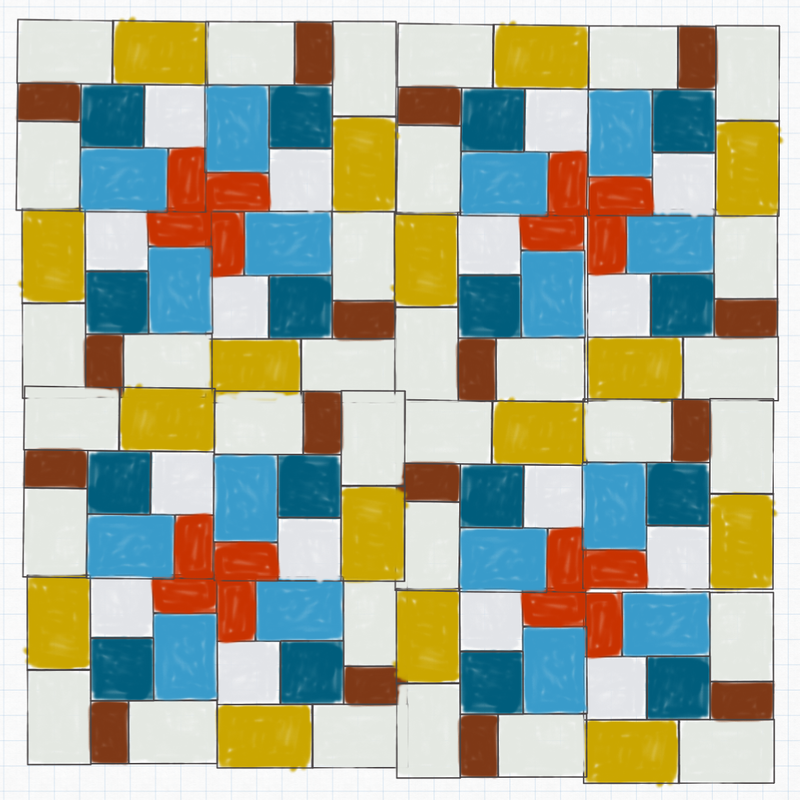 I sketched out my design for the quilt on an iPad app that I love, called Concepts. It has been great for sketching out quilt ideas and other ideas while I am on the train or, in this case, on vacation. As I mentioned, it is a log cabin style quilt, but each strip around the center square (with the exception of the first one) is pieced from two different fabrics. I played with the placement of the blocks on the app and discovered a fun secondary design when I turned the blocks so that the corner of one of the colors (the orange below in the picture) was always pointed to the middle of a four patch of the blocks. 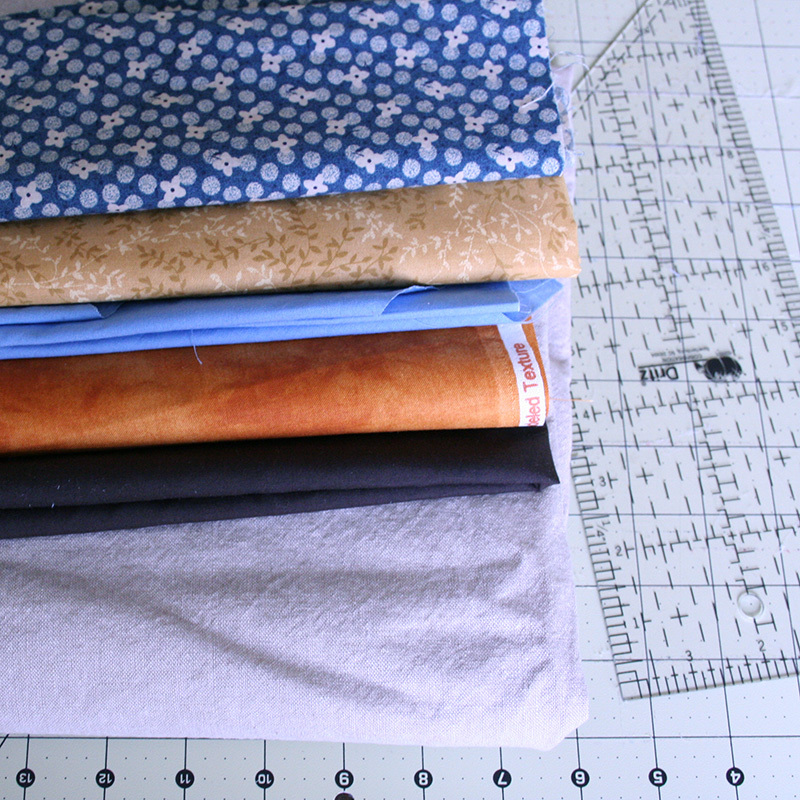 When I got ready to cut out the fabrics I realized I didn't have enough of the light blue to use it as designed, so I decided to swap the light blue and orange. And actually, I am happy I did - I think it works better that way. I'll have to share more on the cutting and piecing next time or this post will never get published. Until then!